My baby succulents are thriving really well in the shot glasses! Here’s a photo of one growing through the soil! It’s pretty exciting watching them grow! Back in my high school days, I was on Livejournal and got to know so many lovely people. Shar was one of them – we’ve been friends for around eight years now. She was living in Singapore but recently moved to Arizona; she and her husband (whose name also happens to be Chris) were in town so we met up in Pasadena. We had a lovely lunch at Lunasia Dim Sum (Asian places, I tell you – already so packed even before noon) and just talked about life. I’m gonna have to drag mine and Chris’ butts over to Arizona to visit her one of these days. I’m still so psyched we finally met because she was living on the other side of the world when we first became Livejournal friends! She’s actually the second friend from Livejournal I met in person – I met up with Corrin and her boyfriend, Peter, last November when they came to visit Santa Barbara from Florida. Meeting friends I’ve made through the blogging community almost feels like just catching up with friends whom I haven’t seen in a while. Anyways, how’s your Sunday going? Aww your baby succulent is looking great! I really love that you put it in a shot glass! 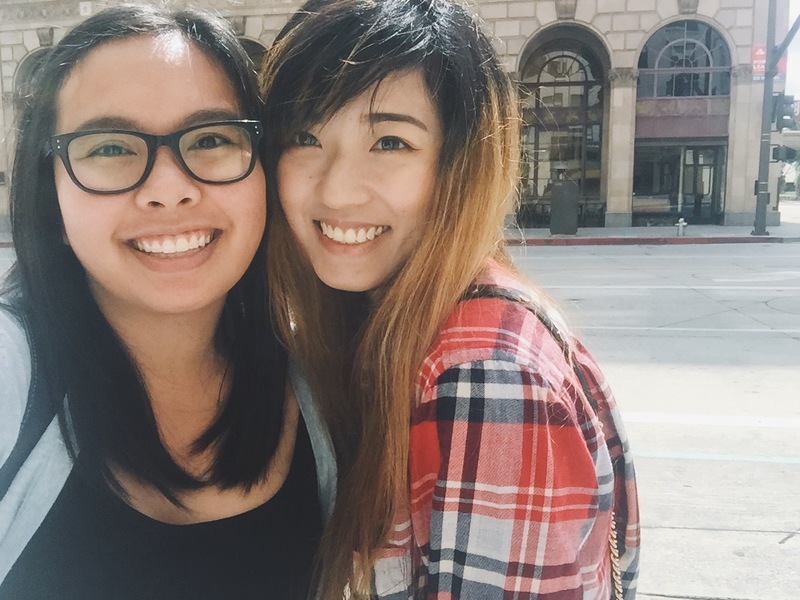 I think it's great you've met one of your long-time best friends online 💖 It's great you took time to catch up with each other! I remember Livejournal's glory days like it was just yesterday! Whaaaat! That's so cool! You & I need to be friends right now cause I want to meet bloggers who live close by – that'd be super cool! Yes! I met my bestest, closest from from Livejournal back in November – so it was pretty cool to meet someone else in person. I know! I miss Livejournal sometimes; it was good while it lasted. 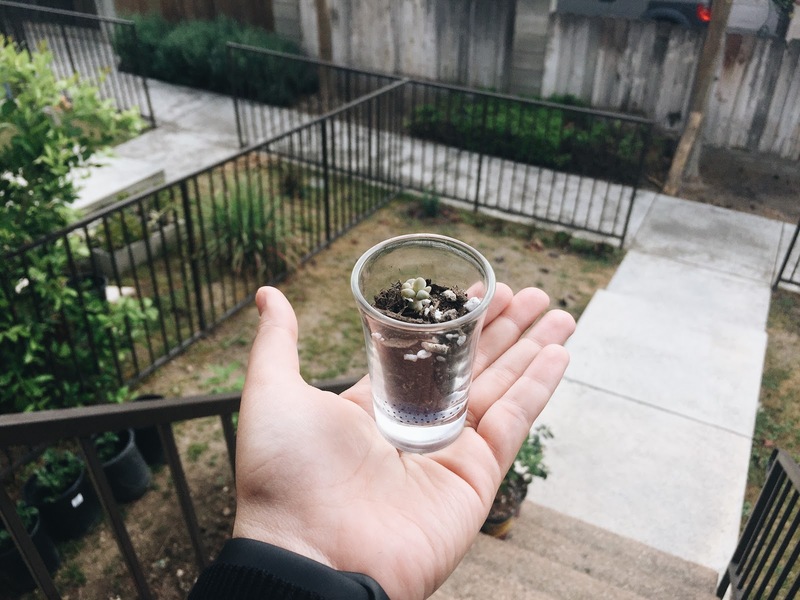 It's cool how you're growing the succulent out of a shot glass! It's pretty cool how you met up with someone you met through Livejournal! I love pretty close to Lunasia Dim Sum so the background looks pretty familiar XD. 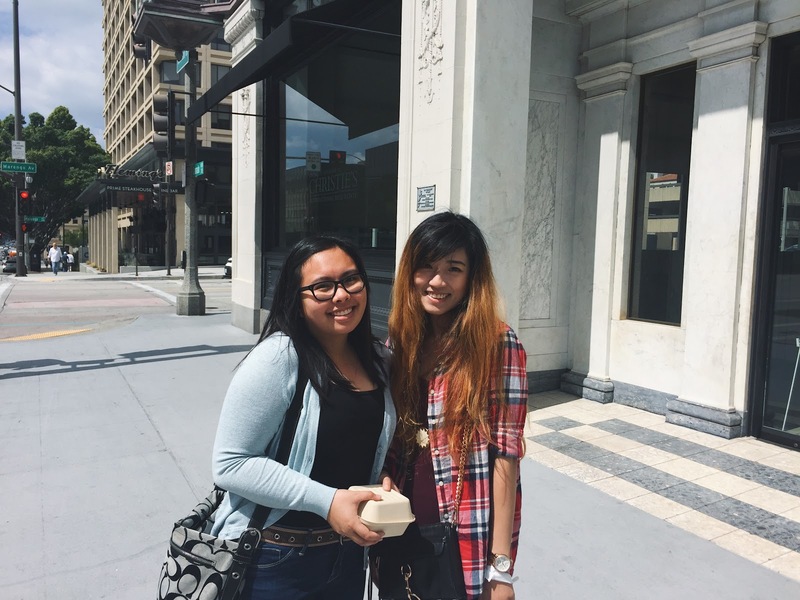 Hope you'll meet more blogging friends in the future! YESSSS! That would be so cool 🙂 It makes me happy stumbling upon blogs where the owners are from California! I can't believe that you two kept in contact for so long! That is absolutely incredible. Hehehe I'm sure we all have true Internet friends somewhere. It's an interesting experience – I met another friend from Livejournal last November too 🙂 but like I said, it just feels like catching up with an old friend. Yes! I actually met another friend from Livejournal last November when she and her boyfriend came to California from Florida 😀 It's pretty cool. And thanks, Nat! I'm really considering it – the ones I have right now are trial runs so I'm giving them away to my fellow plant loving friends. Aww. That kind of friendship is for keeps. You're lucky you found a true friend in the Internet. That's hard to come by. <3 I can't wait to meet some of my blogger friends too! Thanks! I've had a lot of free time on my hands so my ~crafty side came out. I pass by that area in Pasadena ALL THE TIME. One day, we're going to run into each other. How Is Lunasia? I've wanted to go, but it looks kind of pricey compared to less Americanized Chinese restaurants. Love succulents, the shot glass idea is pretty cool! It was decent; but I only had the crispy shrimp roll because I had eaten before meeting up with them and was rather full. I actually prefer the hole-in-the-wall dim sum places in the heart of Asian cities rather than this. That's awesome! I have friends since the xanga days! It feels amazing when you meet up with friends from the internet (and how you also manage to keep in touch with them). I remember blogging through Xanga and eventually meeting the people IRL! So nervewracking but also quite satisfying to finally hear them speak hehe 🙂 I wish I could create these kind of relationship even though the Blogging Community seems to be v crowded now. So nice you guys have been friends since Livejournal! I've never actually met anyone through blogging. Those teeny succulents are so adorable. Wow, so amazing, I also very want to meet some friends from internet, but as they are really far away from me… So I am very glad you can have this chance!!!! oh man, I love succulents and cactus (basically because they don't die easily). yours is so cute.